LANSING, Mich. — Senate Appropriations Committee Chairman Jim Stamas will be available for comments following the governor’s 2019 State of the State address on Tuesday. Sen. Jim Stamas, R-Midland, chairman of the Appropriations Committee. Stamas will be available following the State of the State address for comments on state issues mentioned by the governor in the address. Please contact Stamas’ office prior to 5 p.m. on Monday, Feb. 11 to schedule an interview time with the senator. 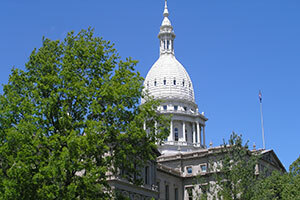 Stamas’ office may be reached by phone at 1-517-373-7946 or by email at senjstamas@senate.michigan.gov. For those contacting the office after hours and who would like comments from Stamas after the address, please leave a phone number for the senator to call.